I read “The Hour of Peril” primarily because I was interested in learning more about how Abraham Lincoln responded to this crises and in hopes of gathering more Lincoln stories and quotes. 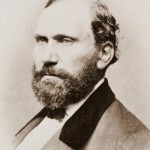 I was not completely disappointed, as I did come across five interesting anecdotes about Lincoln that satisfied my longing. At a whistle stop in Thornton, Indiana, Lincoln came to the rear platform of the train and apologized for not having time to deliver his stump speech. He launched into an anecdote about an aspiring politician who owned a sluggish but sure-footed horse. “The horse was so confoundedly slow, however,” he said, but just at this moment – before Lincoln could deliver his punch line – the train lurched away from the depot, cutting him off in mid-sentence. 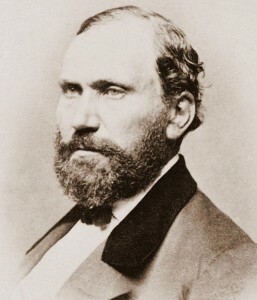 At the next stop along the line, in Lebanon, Lincoln found that some of his supporters from Thorntown had chased the train and were “panting to hear the conclusion of the story.” Lincoln cheerfully took up where he had left off, explaining the he himself shared the dilemma of the owner of the plodding horse. If he stopped at every station to make a stump speech, he would not arrive in Washington until the inauguration was over. 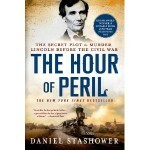 While I would have preferred more anecdotes about Lincoln himself, “The Hour of Peril” still told a fascinating story. August 5, 2015, noon. “Leadership Through Storytelling.” Tucson Downtown Sertoma. Tucson, Arizona. )ct. 13, 2015, 12:40 to 1:00 pm. Old Pueblo Rotary Club. Hotel Tucson. Tucson, Arizona. This entry was posted on Monday, June 15th, 2015 at 7:01 pm and is filed under Abraham Lincoln, Storytelling. You can follow any responses to this entry through the RSS 2.0 feed. You can leave a response, or trackback from your own site.